A corrupt congressman, a mother’s secrets, and a sizzling romance ignite passion and suspense in the new novel from #1 New York Times bestselling author Julie Garwood. Hotel magnate Aiden Madison is Cordelia’s best friend’s older brother. He’s oblivious to the fact that she’s had a crush on him for years. When he gets railroaded into taking her along to Sydney on his company jet, he unknowingly puts her life at risk. He’s recently angered a powerful congressman by refusing to purchase overvalued land. Congressman Chambers is not a man to let such an offense slide, and he has the resources to get even and to get what he wants. In Australia sparks are flying between Cordelia and Aiden, but multiple attempts on Aiden’s life are made while Cordelia is with him, and he realizes he must put a stop to the madness before he loses the thing he values most. I didn’t like this book as much as I expected to, but I didn’t get bored while I was reading it. 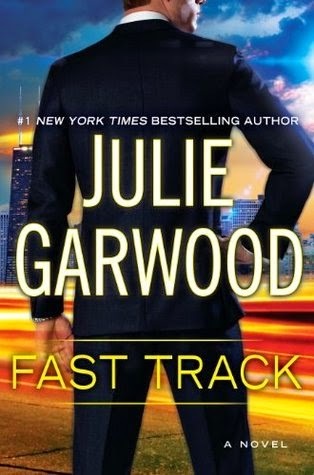 Fast Track is fast-paced and entertaining enough, but it is lacking in the romantic, chemistry and emotional department. There is no particular moment that hooked me. This book didn’t have as much impact to me as Garwood’s previous books. The characters are okay, the plot is okay, I liked the twist of mystery, but there’s just really nothing that stayed with me. I must say that Julie Garwood might be loosing her touch. Still, I liked this book much more than the other romance books I’ve read recently.